It is impossible to walk around the alleys of the Cosmoprof pavilion dedicated to natural cosmetics without noticing the omnipresence of… soap! For the 2019 edition of the Bologna International Exhibition, this iconic product was proudly displayed on many stands. It doesn’t matter the size, the perfume or the origin, as long as it is natural! Cosmoprof and its thousand and one soaps! When we talk about soap, it is absolutely impossible not to think of the Marseille region. Several creators came to exhibit the speciality of the Phocaean city, such as Jérôme Lambruschini, founder of the Panier des Sens brand. Originally from Marseille, this entrepreneur started in cosmetics in 2001, first in the United States, by offering a brand based on Marseille’s flagship products. “We started selling liquid and solid Marseille soap. We chose the United States because selling this type of product internationally is quite relevant. Americans are quite fond of French know-how,” he explains. It was only in 2010 that he decided to return to France and develop the brand in France. The same is true for Aldo Bessone, creator of the Maître Savonitto brand. This former salesman decided to change his life 11 years ago. A deep desire to change their lives, to found a project with his wife and above all to honour the region in which they live and which they love so much: Provence. Starting soap production was a matter of course. “Everything that is colour, the scent of Provence, it has been talking to us for a long time. We wanted to pass it on to others,” says Aldo Bessone. French soap was not the only one to be honoured at the Cosmoprof exhibition, the one in Aleppo also aroused the interest of visitors. Manar Najjar, founder of the Najel brand, is a Syrian by birth. For this doctor by training, his attachment to Aleppo soap is not new: his family has been making it for four generations. “Aleppo soap is the oldest soap in the world. It is made from olive oil and bay laurel oil, which gives it antiseptic properties. However, it does not dry out the skin, on the contrary, it is very gentle on the skin”, he explains. Since Manar Najjar took over the business, the brand has grown and expanded its offer. Despite the conflict in Syria in recent years, solid soaps are still made there. For the rest of the ranges, a research and development laboratory was set up in Lyon. Like other soap manufacturers, naturalness is an essential criterion for Manar Najjar. “Cosmetics are manufactured according to Ecocert or COSMOS standards, using organic ingredients that respect the environment and come from sustainable agriculture”, he explains. Eco-responsibility is certainly an important focus for the businessman, but according to him, natural cosmetics is also a consumer demand. 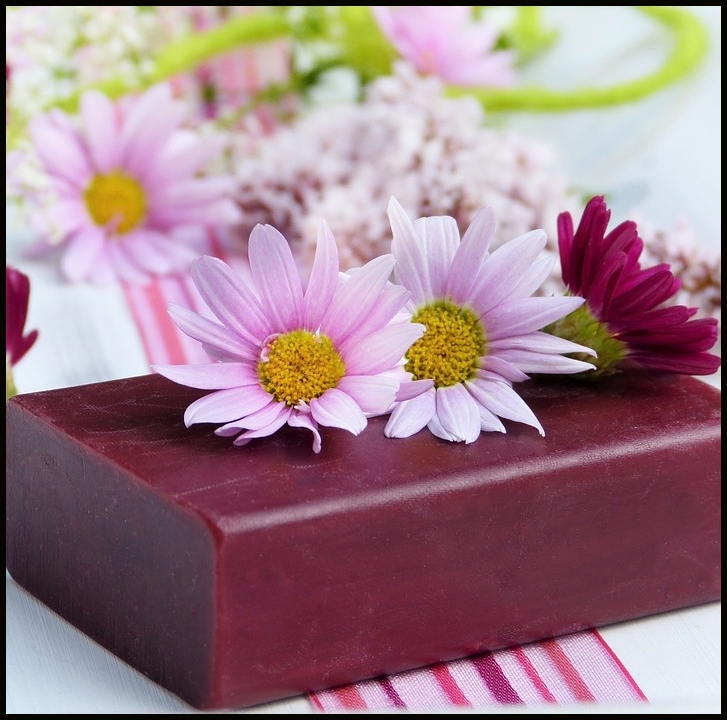 Simple, economical, colourful, perfumed, with plants or flowers, soap regains the heart and bathroom of consumers… and it is not soap makers all over the world who will complain about it!